Whether you’re interested in a chaise lounge for a poolside patio, an Adirondack for a lakeside deck or a daybed for an indoor sunroom, we offer exceptionally-crafted pieces designed to last a lifetime. In addition, we only use 100% Grade-A teak harvested from sustainable teak plantations. 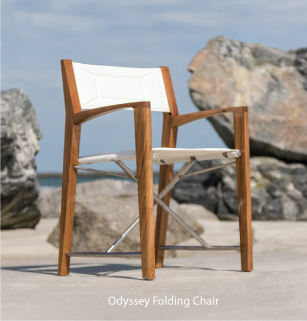 Westminster Teak is internationally recognized for manufacturing the world's finest and most durable chaise lounge chairs. Suitable for indoor, outdoor, residential, commercial and marine use, all of our chaises and pool loungers are precision engineered for a lifetime of use in high end, luxury environments. Our teak furniture also comes with a lifetime warranty and money back guarantee. The craftsmanship of Westminster Teak chaise lounge chairs is a favorite for residential or commercial applications. Teak wood makes any of our lounge chair selections the most durable for an outdoor seating area, even when left untreated and weathered, all backed by our lifetime warranty.